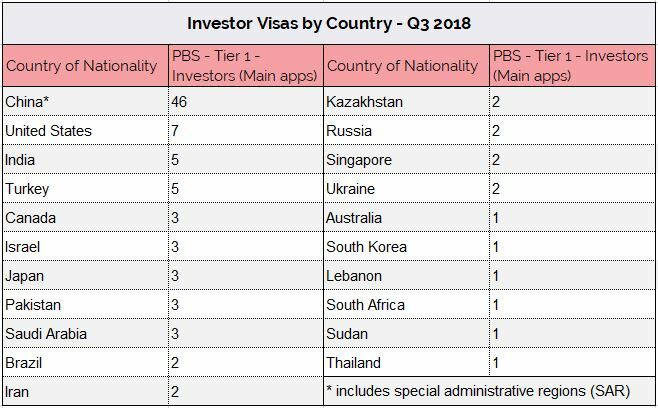 During Q3 2018, a total of 96 Tier 1 Investor Visas were issued. What stood out this quarter was the rise in US applicants and some Indian nationals who normally prefer the Entrepreneur category. The trend in strong demand from Chinese applicants, and the decline in Russian applicants continued during the quarter. Detailed breakdown below. 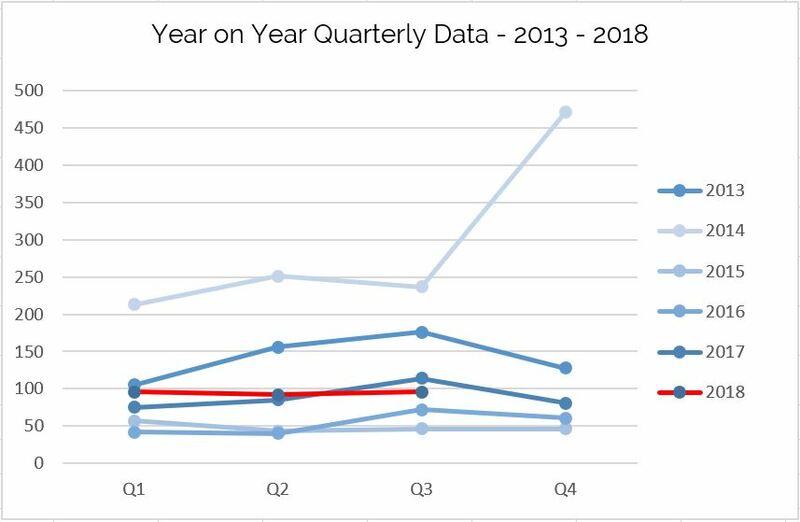 “The strong trend in Investor Visa applicants continued during the third quarter this year, despite the uncertainty with Brexit. In many of my meetings with new applicants, Brexit rarely comes up in conversation. It is the value of the pound and the many benefits the UK has to offer which dominates. Immigration lawyers and advisors – it is time to review your existing clients’ portfolios with regards to the statement of changes (HC1154), especially to ensure your clients’ investment has been maintained. Please review before the end of the next reporting period, which for most will be the end of this calendar year. Live Company Group December Newsletter - Merry Christmas!